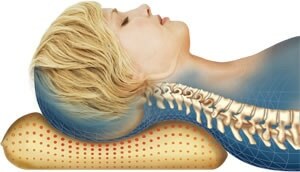 The SlumberCare™ ClassiCare Pillow helps to relieve muscle fatigue and tension. Pressure-relieving comfort in a traditional pillow shape. Fashioned to support all sleeping positions, ClassiCare pillows are fluffable and malleable for extra personalized comfort. Cradles your head and neck to reduce pressure point sensitivity.